ON DISPLAY AND AVAILABLE TO VIEW - LAST TWO AVAILABLE! 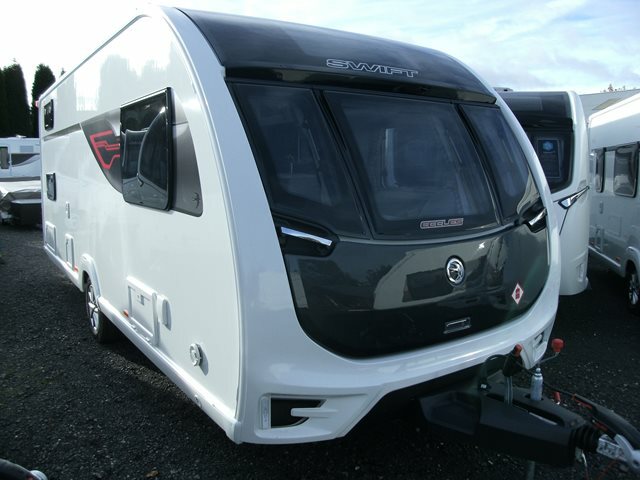 The six berth Eccles 590 features two bench seats to the front, central kitchen and wash-room, and fixed bunks to the offside rear with adjacent seating area. For any further information please contact us on 01384 413336 and ask for a member of the sales team. BE QUICK LAST TWO AVAILABLE!